This article is interesting facts about Alaska. Alaska is the 49th state of USA. The literal meaning of Alaska is The Great Land. The Last Frontier is Alaska's nickname. Juneau is its capital and Anchorage is its largest city. Flag of Alaska contains eight gold stars, seven of them form the big dipper (a famous group of stars in the northern hemisphere symbolizes bear, in Urdu called Dube Akbar), last two stars from this group directs toward eighth-star called Pole star (in Urdu Qutbi Sitaara). On the flag, these stars are spread on a dark blue field. Alaska is US largest state it area is about 1.718 square kilometers. It becomes more than twice the area of Pakistan and more than four times than the area of California. It is the widest state as well from south-east strip to the extent of its pacific islands chain, it is almost as stretched as mainland USA stretch from Atlantic to Pacific. Alaska is one of the two states that are not part of the mainland USA, the other state is Hawaii. 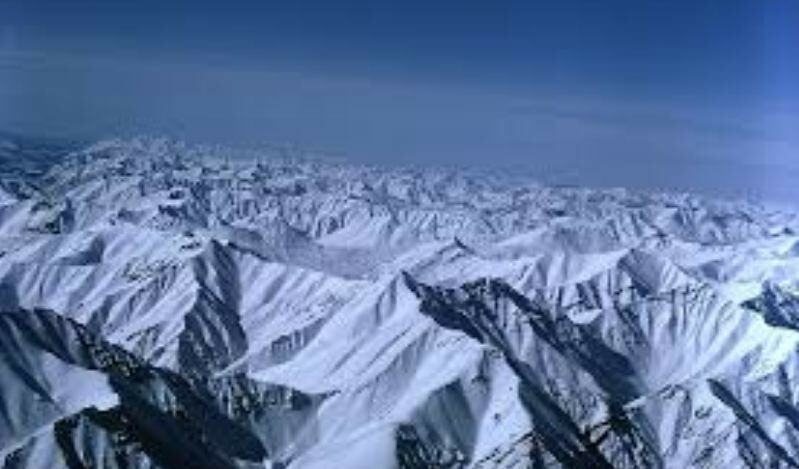 It is located at North East of North America bordering Canada Yukon territory from the east across the Bering strait Russia lies, in the south Pacific Ocean and in the north Arctic Ocean. It is the northernmost state of USA. Remember that the other non-mainland state Hawaii is the southernmost state of the USA. It is believed that first human came to Alaska by crossing the land bridge that existed about 12 to 15 thousand years ago. Alaskaindigineous people are called Eskimos. Earlier in the 16th century, Russia was limited to west of Ural Mountains. Then as per Tsar eastward expansion policy hey gradually took control of all of Siberia. Then in the first half of 18th century, they made settlements in Alaska by crossing the Bering Strait and colonized it. The USA purchased in in 1867 from Russia for 7.2 million dollars. In accordance to the huge land, it becomes 2 cents per acre. Russia sold it because it was much difficult for them to control and defend this far east settlement. Moreover Britain (at that time Russia rival) was approaching to it. They had reached in Yukon (next to Alaska) an it was most probable that Russian would lose Alaska in case of any conflict between them. So they found it much better to sell it to the USA. Mount Denali located in Alaska is the highest peak with the height of 20320 feet, in North America. 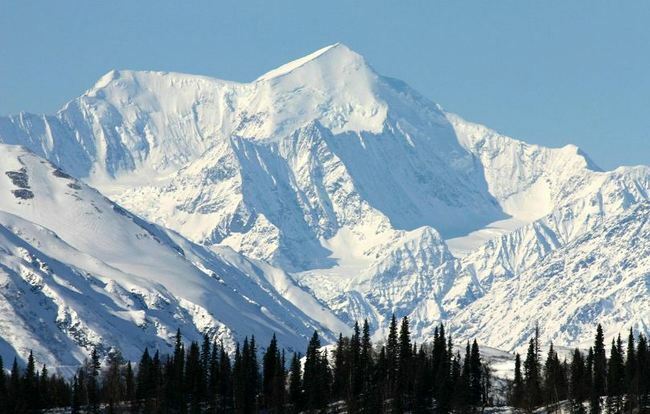 In fact, 17 out of 20 US highest peaks lie in Alaska. The population of Alaska is about 750,000. The coastline of Alaska is about 10,690 km (if its islands are also considered then the length of coast exceeds 55,000 km. In any case it is more than the combined coastline of other 49 states. It is estimated that Alaska contains about 100,000 glaciers most in the inhabited world areas, Malaspina is the largest one. Northern Alaska just north to Seward peninsula comes under the Arctic circle, overall more than 1/4th of Alaska. Most of the Arctic surface remains under the ice all over the year. Like other northernmost countries, the mysterious and fabulous Northern lights/ Aurora can be observed in Alaska various regions like Fairbanks at midnight. Utqiagvik/Barrow is the US most northern city, here the longest day that comes is summer span about three months (days) and longest night comes in winter is about 2 months (67 days) long. Followings are some general "facts about Alaska"
Alaska like Finland and its neighbor Canada has a lot of lakes about 3,000,000 the largest one is Lake Iliamna located in the south-west of Alaska. Alaska and Russia are only 2.5 miles away from each other at their closest point(islands in the Bering Strait).